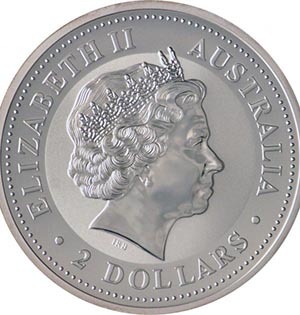 Produced by the Perth Mint since 1990.The design changes each year but always depicts Queen Elizabeth 11 on the obverse. The 2 oz Kookaburra Silver Coin is one of four silver bullion coins released by the Perth Mint, which remains one of the premier government mints in the world. The other weights include the 1kg, 10oz and 1oz. 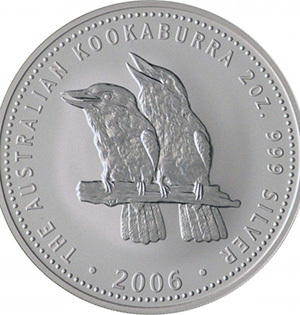 First minted in 1990, the Silver Kookaburra proved instantly popular, and by the 2010’s, half a million were produced yearly to meet demand. It was rumoured that 1 million would need to be produced in 2013, but for now the half a million limit remains in place. 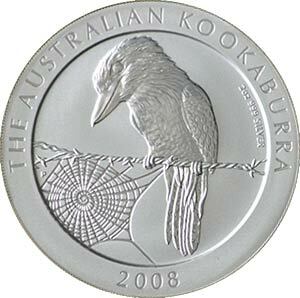 The Kookaburra is one of only a few annually released coins that change its design upon each release. This has led to it being particularly popular with collectors, who often attempt to obtain each release as part of a set. 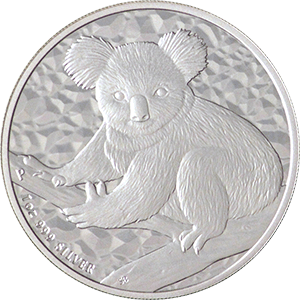 For this reason, the 2 oz Kookaburra Silver Coin is often worth more than its silver content alone. The coin’s diameter measures 53.30mm and it has a thickness of 4.50mm. 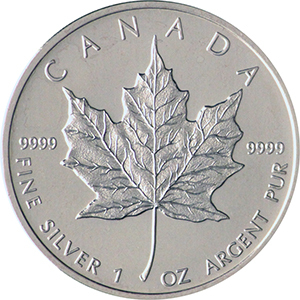 The total weight of the coin measures 62.77g, almost all of which is fine silver. While there are special edition releases of the kookaburra, these are few and far between compared to other coins of this type.